There are eight essential B complex vitamins including thiamine (B1), riboflavin (B2), niacin (B3), pantothenic acid (B5), pyridoxine (B6), cyanocobalamin (B12), biotin (B7) and folic acid B9). According to the Mayo Clinic, most people consume adequate amounts of B vitamins through their diet, though the elderly, particularly those with pernicious anemia, athletes, strict vegetarians, and people who consume a lot of alcohol may be deficient in the B vitamins and may require injections or oral supplementation of B vitamins or vitamin B-12, in particular. Vitamin B-12 is, for most people, easy to consume daily if they strive to consume five servings daily of fruits, vegetables and whole grains. B vitamins are particularly found in fish, shellfish, meat such as liver and dairy products such as milk, cheese, and yogurt. Since B vitamins are water soluble, they are transported throughout the body and excreted in the urine. Vitamin B deficiency, and particularly vitamin B-12 deficiency, is rare. Signs of deficiency in B vitamins include anemia, fatigue, abdominal pain, depression, loss of appetite, numbness and tingling in the arms, muscle cramps, eczema, respiratory infection, stunted growth in children and birth defects. Since B12 is found exclusively in animal food sources, vegans and people who follow a strict vegetarian diet that does not include meat and dairy may be specifically at-risk for developing vitamin B-12 deficiency. In such cases, it is important to take an oral food supplement or vitamin B-12 injections. Similarly, athletes that rapidly excrete B complex vitamins may require injections to replace excreted B vitamins as they work much faster than food sources or oral supplements. According to the Mayo Clinic, there is great potential for B complex deficiency in the elderly, caused by alterations in gastro-intestinal absorption of B-complex vitamins. The National Academy of Science recommends that “adults over 50 take vitamin B supplements or eat foods enriched in these vitamins.” As always, it is important to consult a doctor before taking supplements of any kind. 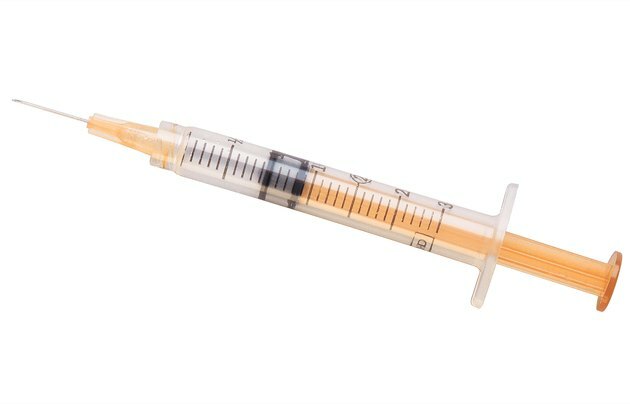 In the event that B-12 or B-complex injections are indicated, they must be prescribed by a physician and monitored closely.